Infrastructure as a service provider OVH today opened its Asia Pacific headquarters in Melbourne. The operation will create 80 jobs within three years and the company has vowed to support local start-ups through its Digital Launch Pad program. Laurent Allard, OVH vice chairman, said the cloud company had chosen Melbourne due its “high calibre talent pool, liveability and vibrancy of the start-up ecosystem”. “The ability to recruit top talents in the Victorian market was a key driver in selecting Melbourne for our headquarters, which we believe will support our growth trajectory. I am very pleased to be back in Melbourne. I always enjoy the dynamism, work ethic and culture of Melbournians,” he said at a launch event today. The company said plans on making a “significant investment” to provide in-house technical training and offer “unique career opportunities to Victorians”. Successful applicants of OVH’s start-up launch pad stand to receive cloud infrastructure support worth up to $100,000, the company said. The provider will also be working with LaunchVic, the state’s startup support body. The French company, Europe’s largest hosting provider, operates 20 data centres across 19 countries. The company’s Sydney data centre opened in October. OVH is undergoing rapid expansion and plans to bring a further 13 data centres online by 2018. The development plans for six of them in Europe and the USA were also announced today. The company has attracted a degree of notoriety over the years. It once hosted a web site for the Democratic Forces for the Liberation of Rwanda, a rebel group suspected of committing crimes against humanity and took on hosting of the Wikileaks website resisting a legal challenge from the French Government to have it removed. OVH suffered an embarrassing security failure in 2013, when hackers stole a database containing details of all its European customers. OVH is the latest of a growing number of technology companies to set up regional headquarters in Melbourne, following the likes of Hired, Square and Slack. 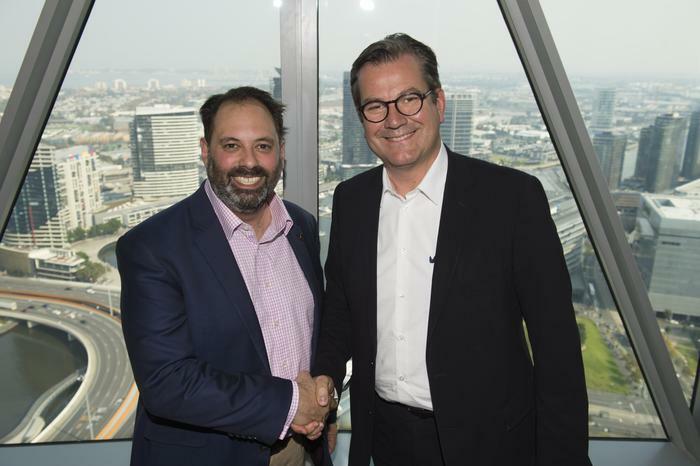 “This investment by one of Europe’s major cloud companies reinforces Melbourne’s position as the tech capital of Australia and means more jobs for Victoria,” said Victorian Minister for Small Business, Innovation and Trade Philip Dalidakis. Since November 2014, there have been more than 2,350 new tech jobs created in Victoria from investment alone, the government said.